I’ve always liked the ballet. I mean, I’ve always liked the idea of the ballet; I had never actually been before. But I always liked the idea of attending a performance in a classical style of dance that has been revered as the pinnacle of culture and refinement, then returning home to discuss the finer points of music and story over a glass of sherry, a la Frasier. Same for the opera. I love music and dance and live performance so it’s a wonder it took until now to actually see those things. Russia is known for its contributions in the world of the performing arts, so it was a perfect setting for us to get a little culture. Our first stop was the Marinsky Theater in St. Petersburg (an absolutely marvelous city, and in our top 3 of most beautiful cities we’ve ever been to – and spoiler alert, Paris is not in that list). The theater itself is grand on the outside, though it’s clear it isn’t quite in its heyday anymore. Unfortunately, the building itself is surrounded by a car park and tram lines, so it was nearly impossible to capture it in a photograph that did justice to the seafoam green coloring and stately appearance. It was better than good. It was astounding. Absolutely mind-blowing. When we returned to the theater that evening for the performance we made our way through the crowds to the coat check and into the theater to find our seats. 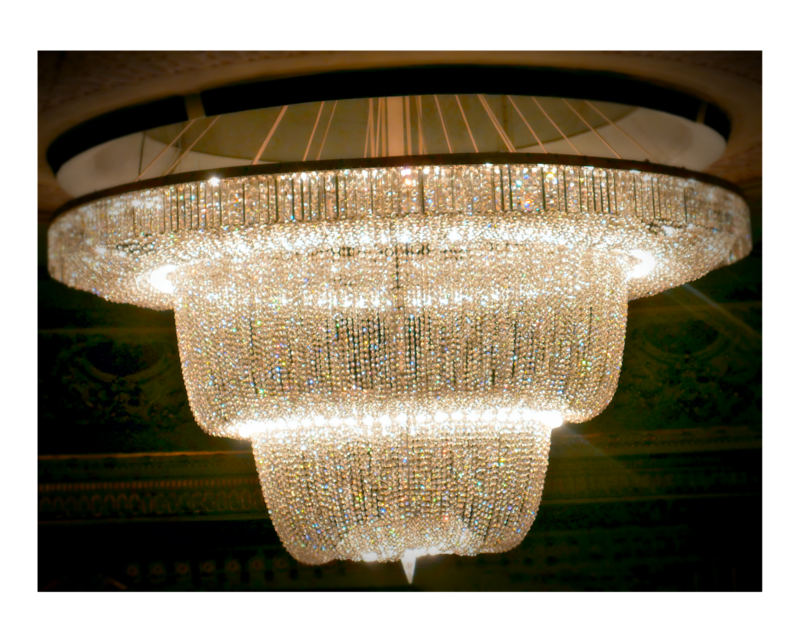 We entered the main theater to a vision of painted ceilings and a sparkling chandelier. Truly, the Marinsky is the very definition of grandeur and it’s magnificence took us quite by surprise. One of the reasons our tickets were so cheap were because, well, we are cheap. We chose the cheapest tickets we could get, which are obviously high up and far back. The seats themselves were horrendous to sit on. They were hard wooden benches that were a little too narrow and too close to the bench back of the row ahead. But that’s really the only complaint possible about our experience there. Even though we were so far back we could still see the stage perfectly and didn’t feel like we missed anything. I suppose if you are a connoisseur of the ballet the god seats may not be for you, but since this was our first time, we were completely satisfied with the view we were offered. The show was incredible. There was sort of opening act (being new to the ballet, we don’t know if this is normal; is it?) which was good but perhaps a little underwhelming. But we enjoyed it and then treated ourselves to a brandy during the intermission. We returned to our seats and the “real” show began. That’s about as technical as our critique can get, unfortunately. But it was really good, y’all. The set was massive and intricate. The dancers were so talented. The story was delightful (we saw Stravinsky’s The Firebird). Everything was perfect. We left the theater in awe of what we had just seen and with a strong desire to keep going to the ballet. The next night we attended the opera at the same theater. Again, we were blown away by sets, skills, and live music. It was a Russian opera Boris Godunov by Modest Mussorgsky and was of course sung in Russian. Luckily, there was a screen showing the “subtitles” in both Russian and English, so we could follow the plot. We left the theater again feeling like this was definitely something we wanted to keep doing. Three cities later, in Yekaterinburg, we treated ourselves again to a few shows: ballet, opera, and puppet show. The ballet was a bit more modern in its choreography and costume, and somewhat minimalist in set. It was still quite enjoyable (and the seats were a lot more comfortable this time around). The opera was lovely, but there were no subtitles, the story was difficult to follow, and we had an early train the next morning so we didn’t stay all 4 hours. The puppet show…that was something else! We didn’t realize that it was mostly for kids, but we quickly found out when we were surrounded by a few school groups. We were actually the only adults apart from the trip chaperones. But the show was so entertaining! The set was amazing, the puppets were well crafted, and the music and sound effects were top notch. The show was in Russian, so we didn’t understand everything, but because it was a show for kids there was a lot of singing, dancing, and slapstick humor, and who doesn’t love a bit of that? We loved the show all the same, and Ricky was even inspired to write a puppet show of his own and has been feverishly writing out a script. But our introduction to the Russian performing arts didn’t end there. We arrived in Irkutsk, our last stop in Russia before hitting Mongolia and were looking for things to do when we found that there was a circus in town. We checked online and found a show on my birthday and decided that would be the perfect time. Now, we know there are circuses everywhere, but we really do consider it an addition to our cultural experiences in Russia. After all, it was an activity that locals go to, that children enjoy, and that is a staple in Russian entertainment. And boy were we entertained! There were dancing poodles, and acrobats, and penguins, and dancers. And did you know pelicans can be trained? Well, they can. Add in a bit of magic, some squawking parrots, and a few clowns and you have an amazing Russian circus. As a side note, we were a bit nervous because we love animals and we hate to see animals that are clearly mistreated, but everything seemed to check out, ethics-wise. The only questionable act was a boxing kangaroo that did not seem to love being held by its tail. Other than that, the dogs were happy, the monkeys were cuddled, and the penguins were guided by an older woman who clearly was more of a specialized trainer and not an actual circus performer. As we leave Russia, we can both firmly declare that our time here has been better than expected in many ways. 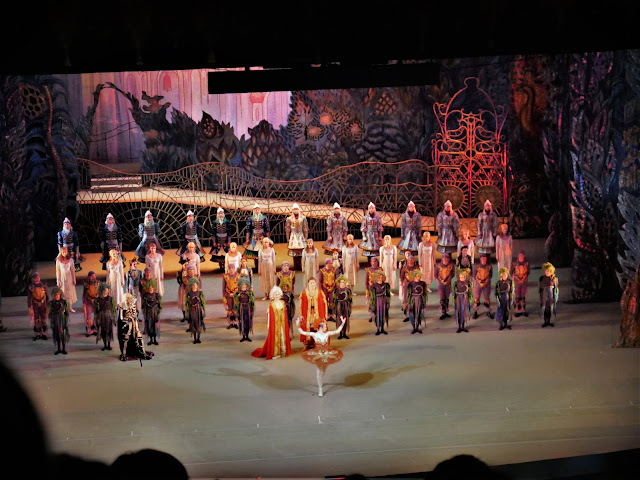 Our attendance of cultural performing arts shows definitely added to our positive encounters with the country and we are unquestionably inspired to continue attending the ballet and opera as much as we can, though we doubt we’ll be able to see a show anywhere else for $5 a person. One can hope. Now for a glass of sherry.